Dentists are amongst one of the most feared specialists in the world. The reason is simple: no dental patient would like to suffer dental pain yet they still have to. 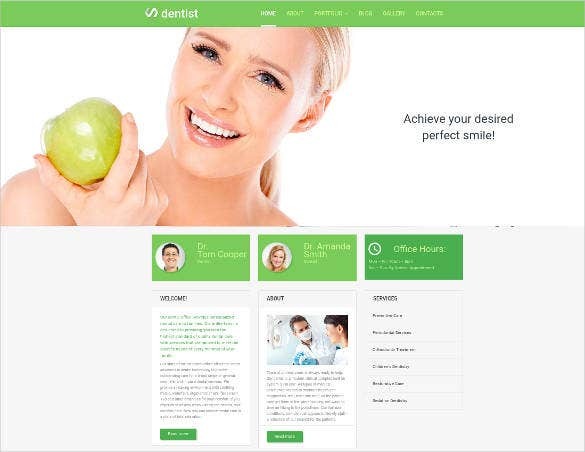 If you’re dentist you would be well-knowing of the fact that dentists also require online presence. Building your own website on your own, and that too from scratch, may not be possible. 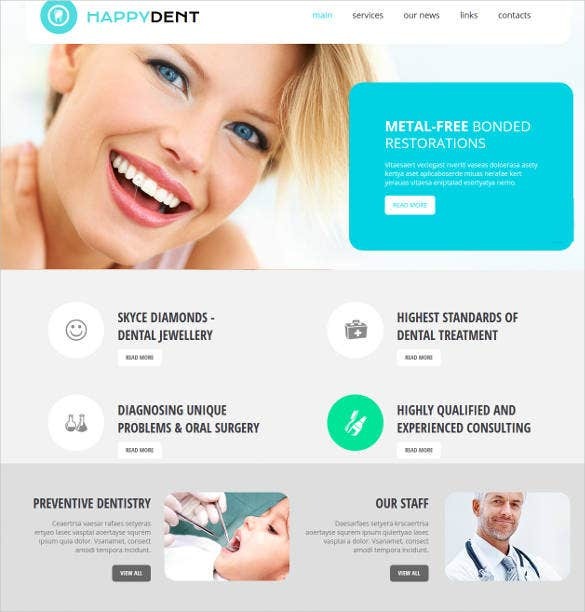 It’s best that you take help of a readymade dental website template. We have compiled a few of the bests here! 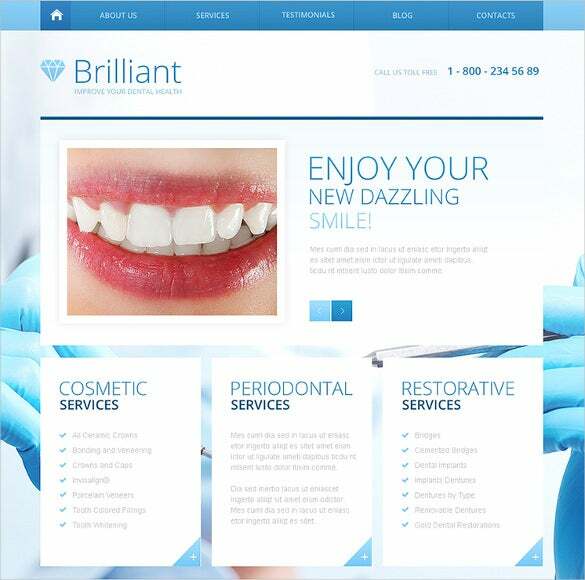 You may also see Excellent Dentist Website Templates. 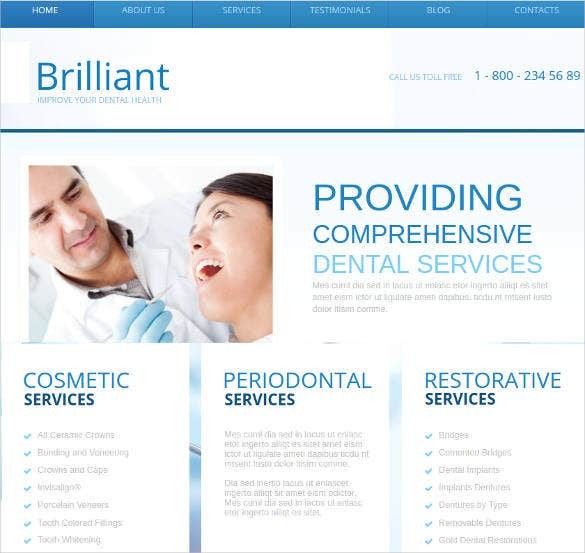 Build to suit the requirements of a dentistry website, these templates are easy to install. 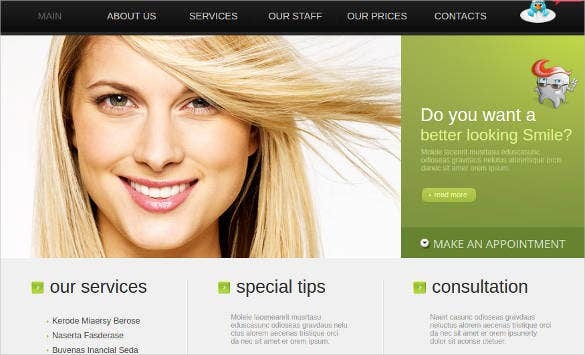 With these top class templates, you can certainly give a professional look to your service. 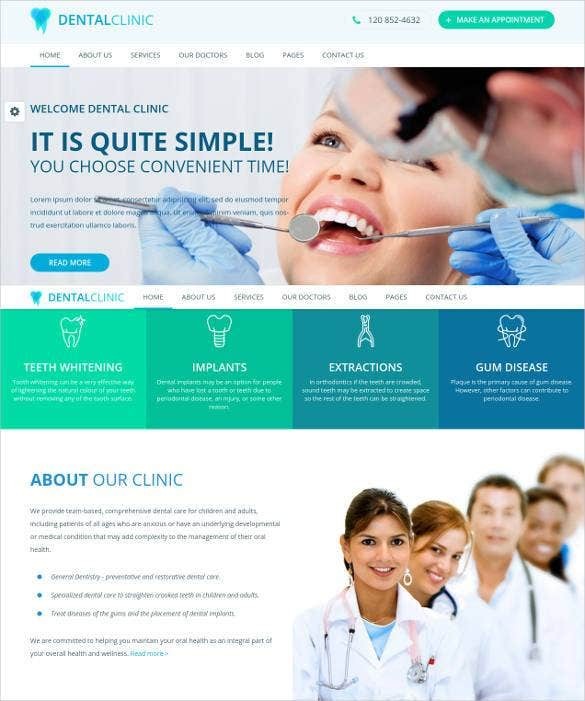 Most of these premium templates are highly customizable in terms of color styles, fonts and images, which ensures that you get a website that represents your dentistry business perfectly. With drop down menus, multiple color schemes and preset pages, creating your web pages and making them look stunning becomes unbelievably easy. 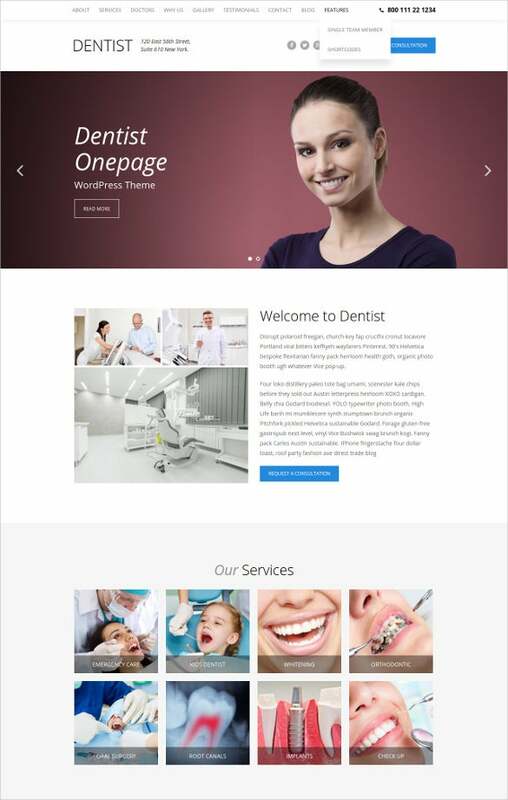 You May also visit Fabulous Dentist WordPress Templates. 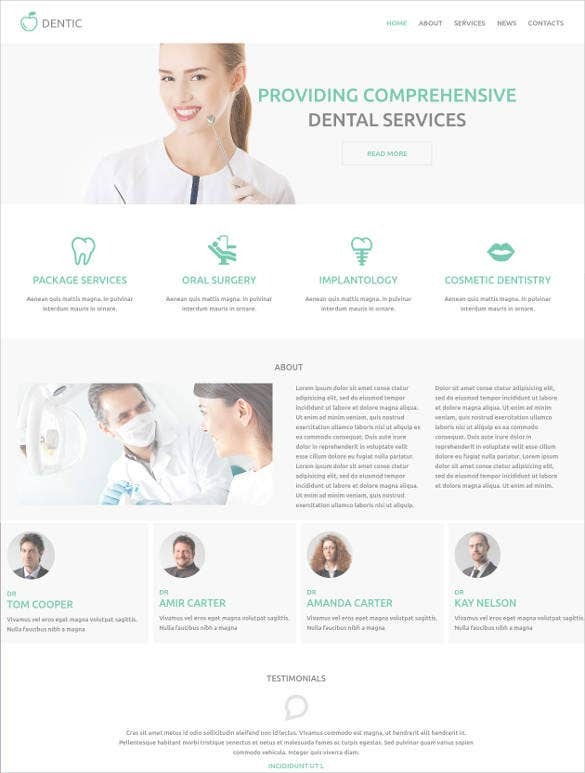 This is a niche template built with the skeleton grid system for dental and medical websites. 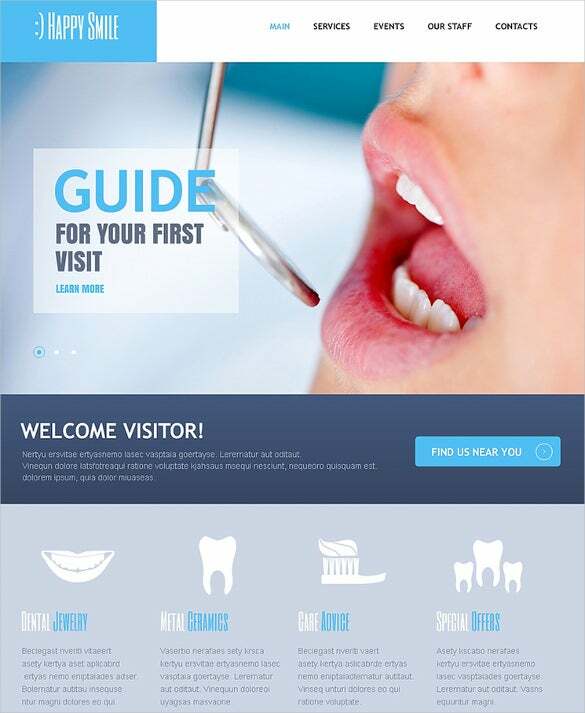 It is highly useful for dental consultants, dentists, surgeons, and medical practitioners. Being responsive, it is 100% compatible with any device, mobile or desktop and comes with features like Sliced PSD, Google Web Fonts, and Dropdown menu. 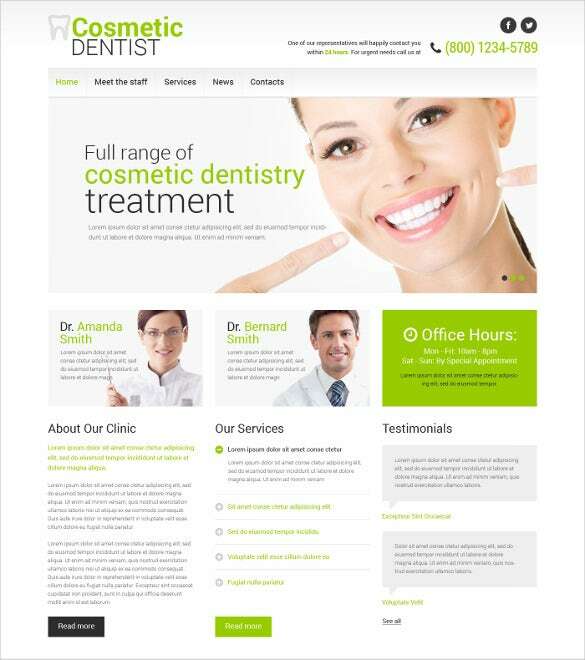 This website template is perfect for dentists and dental offices irrespective of the service they specialize in. Offering high end user experience, thanks to the intuitive short codes, this template comprises of a Mega Menu feature which makes it more interactive. 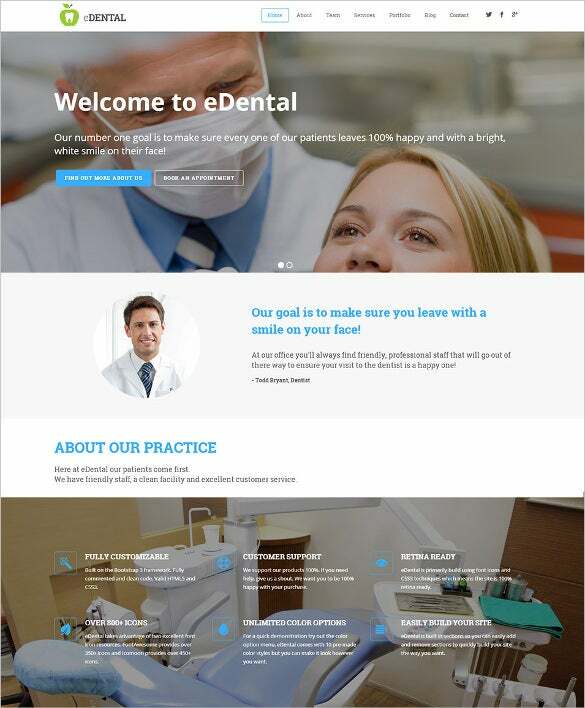 This is a Drupal website template that can be used to design medical portals, dental sites, and even other business sites. 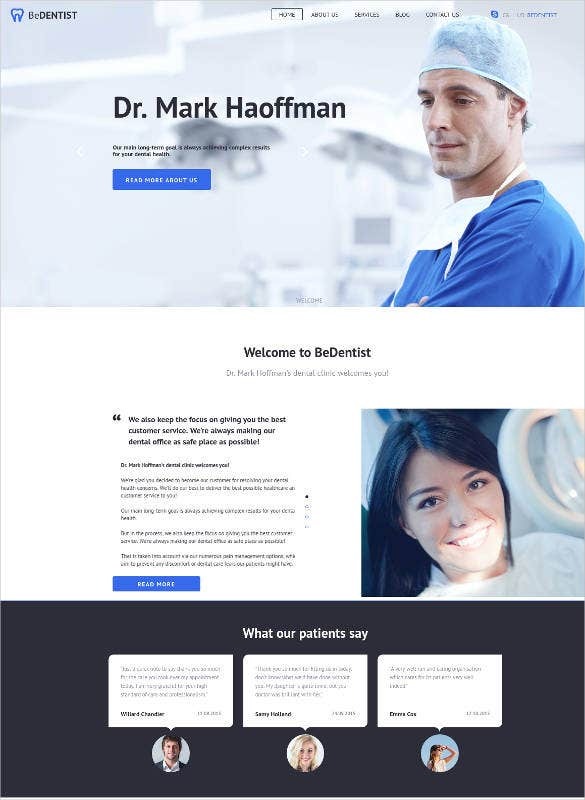 Online bloggers, dentists, medical consultants, and business professionals will find this template quite useful and handy. It comes with some brilliant set of features like advanced admin panel, legible typefaces, and modernized layout. 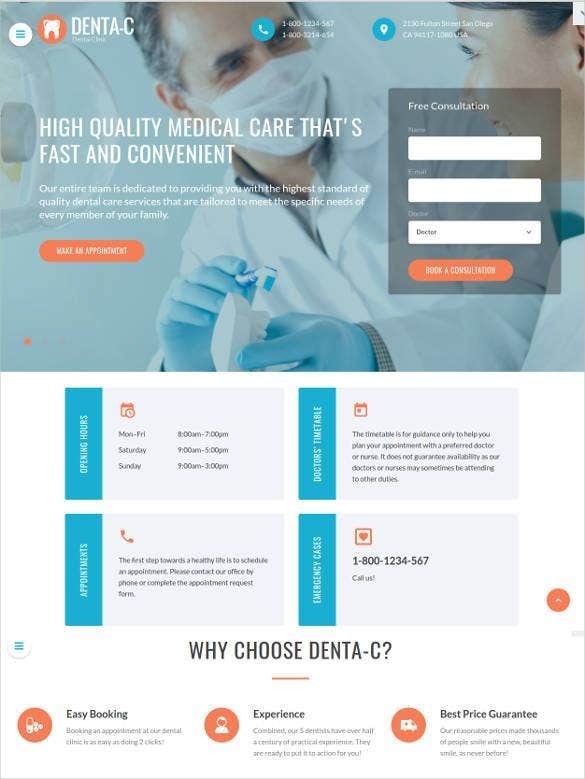 A perfect theme for all facilities that deal in surgical instruments for dental treatments, this has an integrated WooCommerce making it easier for the user to get orders and payments online. SEO optimized, this template ensures more number of visitors to the website. 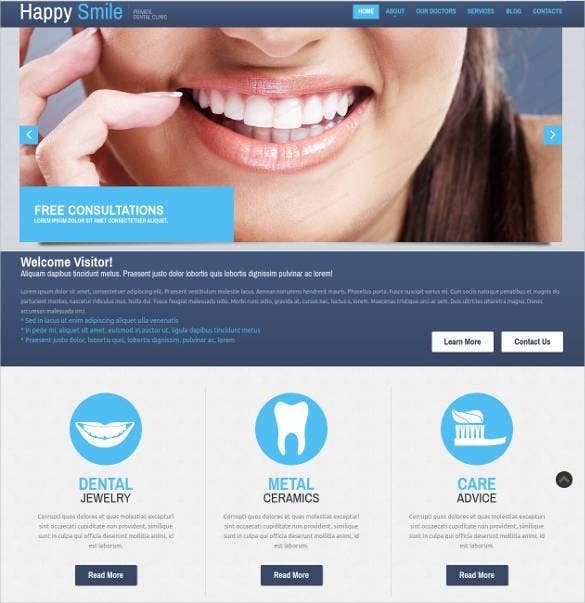 Give your website the most impactful effects with this amazing smile dentist website template. It is compatible with every browser, including the mobile ones and promises best utility features. 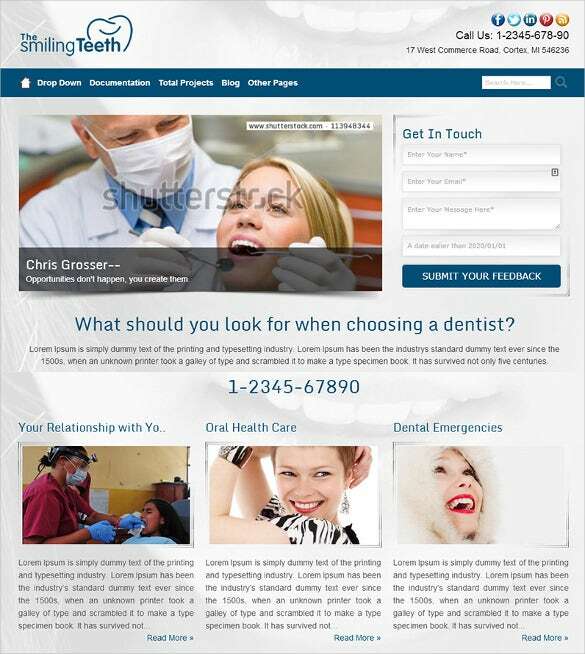 It is perfect for dental surgeons, medical consultants, healthcare professionals, web bloggers, and website developers. 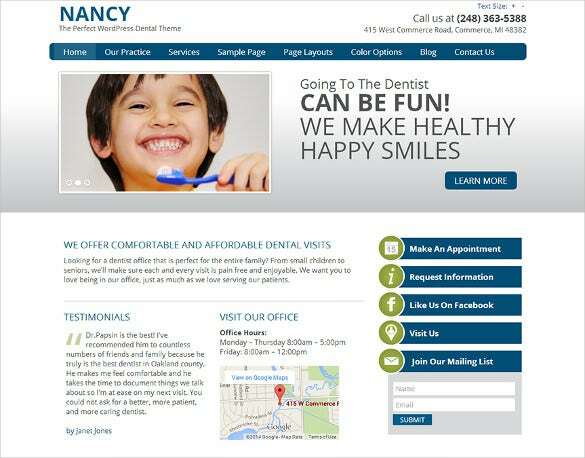 The niche layout makes the appearance of a website highly acceptable to the users. 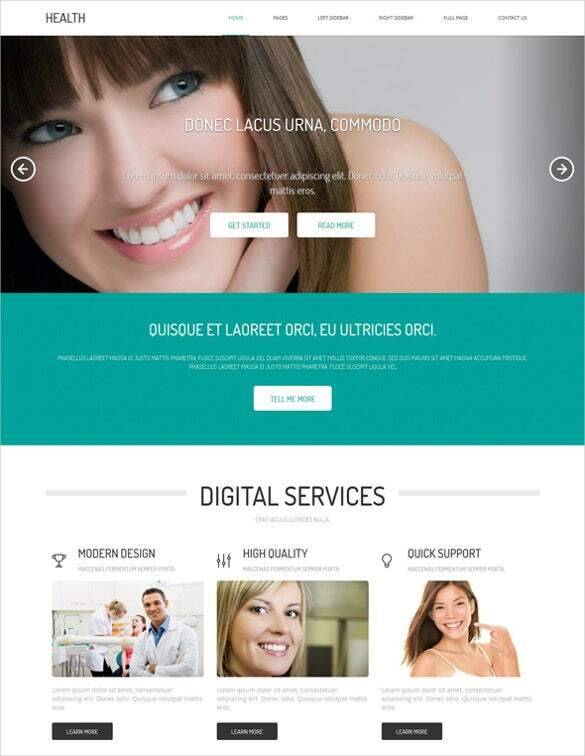 This is a niche template built with the JQuery platform. 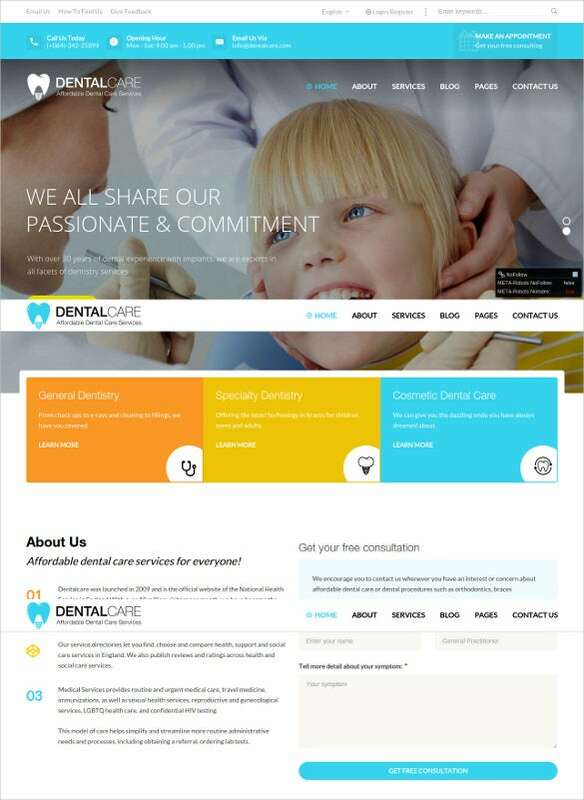 It is suitable for developing healthcare websites and blogs. 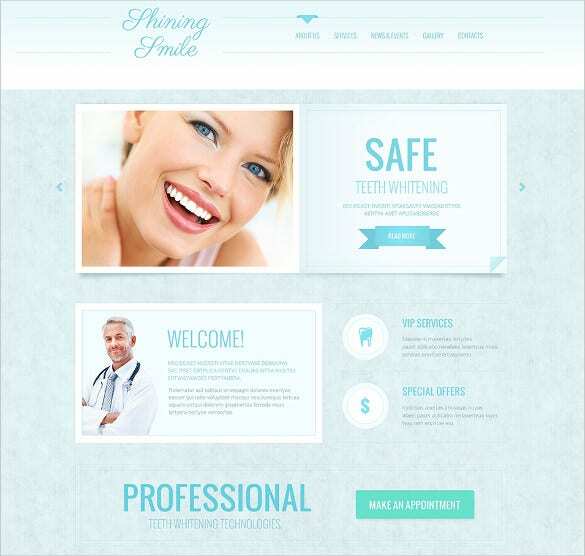 Medical professionals, surgeons, dentists, and web artists will find it extremely useful to work with this theme. 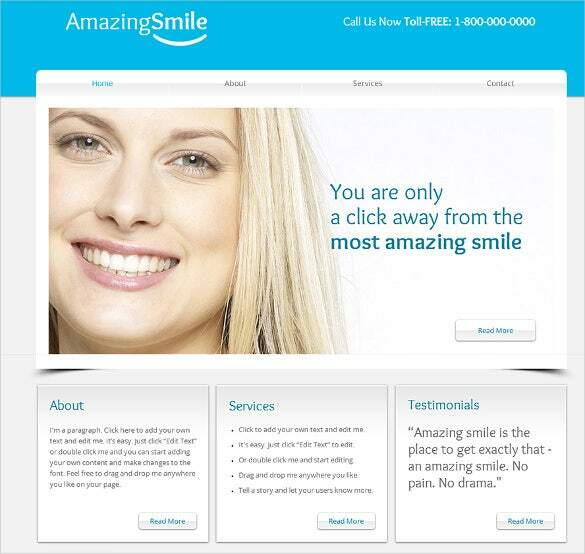 It has a niche layout and comes with animated sliders, dropdown menu, sliced PSD, and customized sample pages. 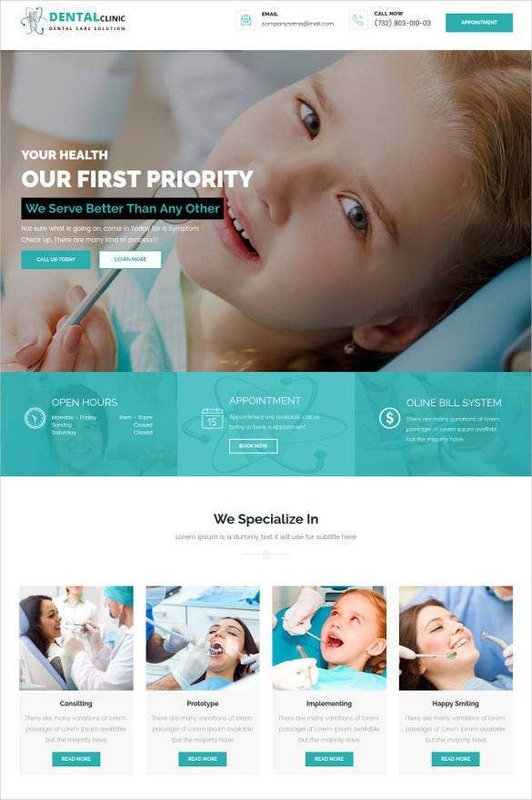 In case you are thinking of designing just a one page website for a dental facility, this one page WordPress theme seems to be a great choice. 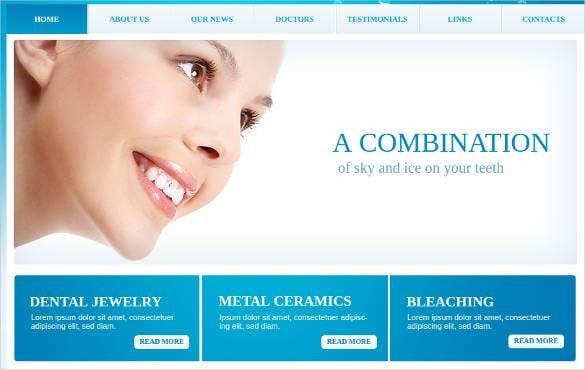 Endowed with a responsive design, the theme is compatible with all the latest WordPress versions. Offering a wide range of tools and options building a web page using this theme seems quite simple. 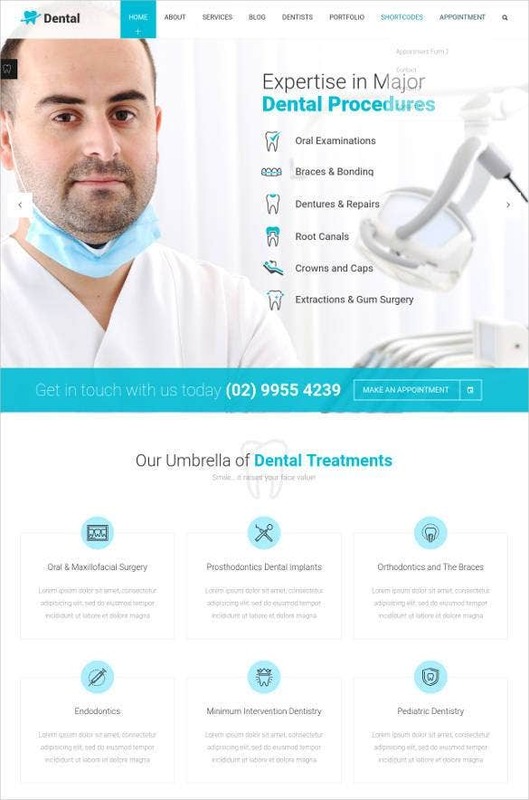 This website is 100% responsive and deems perfect for medical and healthcare portals. 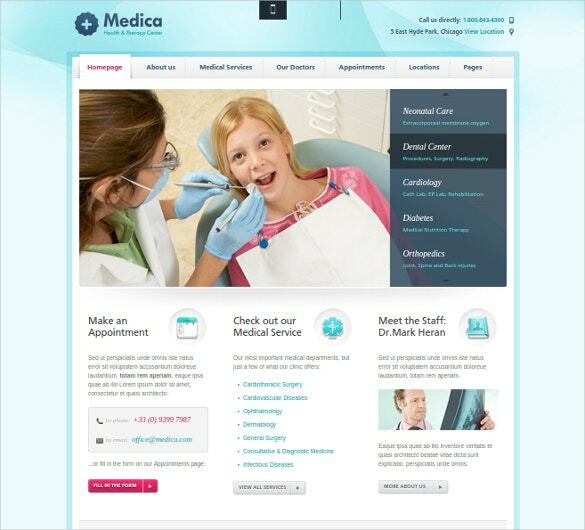 It is equally useful for dental experts, medical professionals, web artists, and healthcare consultants. It has a niche layout and comes with features like sliced PSD, favicon, dropdown menu, Google Web Fonts and Icons, and animated slider. 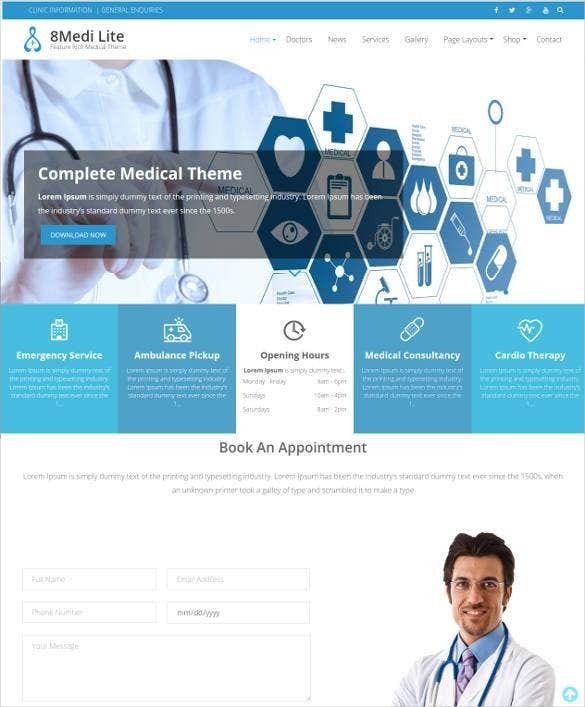 This is a flat bootstrap template for medical categories that promises to be cross-browser compatible and easy to install. 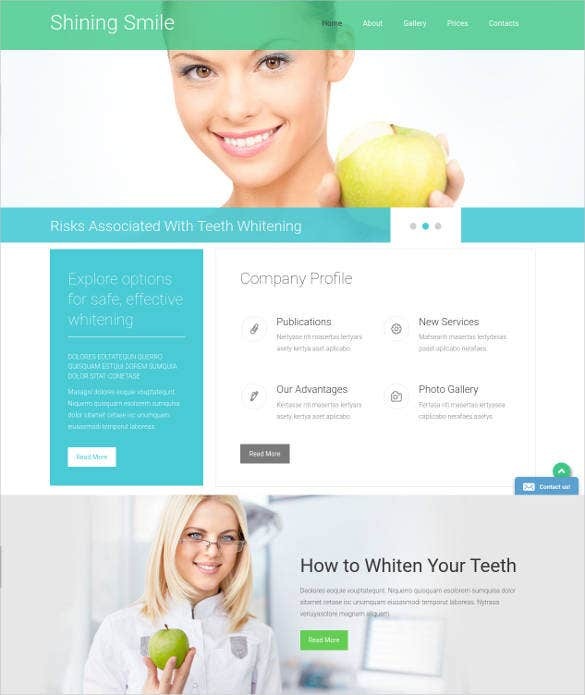 It is suitable for medical professionals, healthcare institutes, dental clinics, dentists, and web artists. It comes with a fluid responsive layout and supports smartphones and tablets too. Files included are HTML sources files, Style Sheets, and Images which are free download. 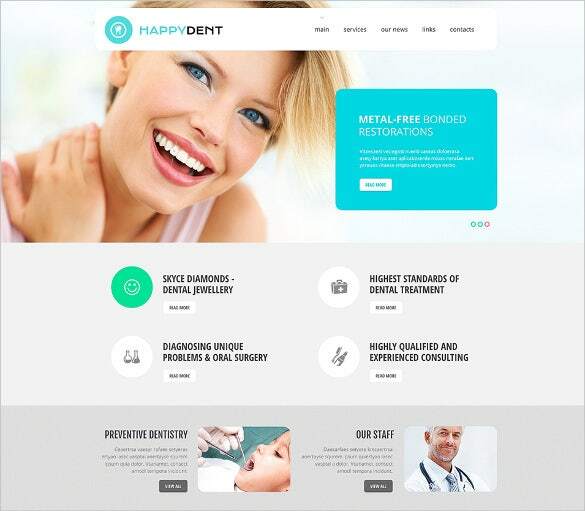 This HTML based templates is well suited for health professionals, dentists, medical journalists, blogging professionals, and surgeons. 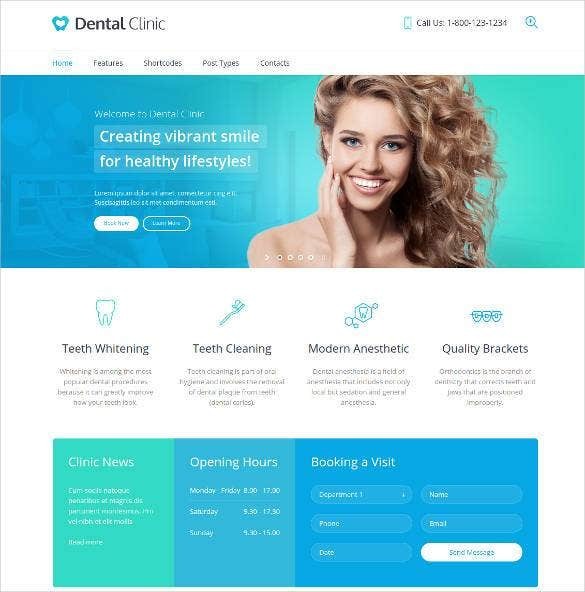 It has a niched design structure to work with and provides some excellent features like Working Contact Form, Slices PSD, Numerous Customizable Page Templates, and 22 Photoshop Files. It comes with detailed documentation and easy set-up files. 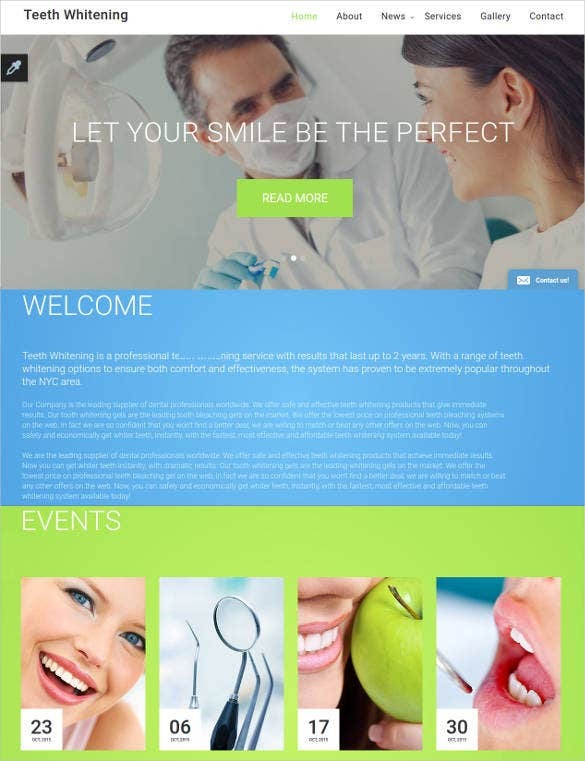 This fully responsive template with parallax software effects helps you to design a highly interactive web page for a dental facility. The drag drop page builder feature ensures that creating a perfect layout is simple. SEO optimized, creating a unique page is easy thanks to the wide range of color schemes and layout options to choose from. 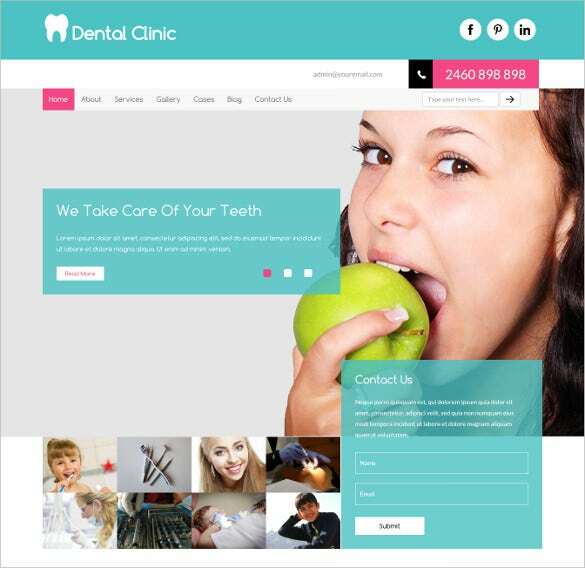 Some premium as well as free dental website templates come to you with useful features such as contact forms and advertising management tools. Templates with responsive layouts are the best of the lot, as they make your website easily accessible from all sorts of mobile devices. 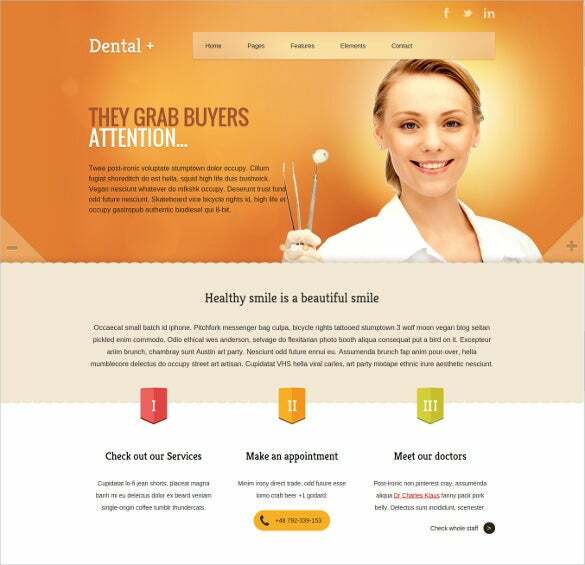 Check out these amazing dental website templates and pick the ones that suit your business the most.You may look Joomla Templates for Dentist.